The success of a blog is mostly determined by how many visitors it gets each month. Don’t get me wrong: tons of traffic doesn’t mean a blog is successful, but it certainly means that it can be. What do I mean by that? Well, having a ton of people reading your content doesn’t actually produce any specific results, but it provides SO many opportunities. The bigger your audience, the more people you have influence over. This means brands will want to work with you, significant people will be interested in collaborating with you, and you have a valuable platform from which you can sell anything you create. You could have amazing content and an amazing product, but if people don’t know you exist then they’ll never buy from you. Thus, obviously, you need TRAFFIC. If you’ve done any research at all about how to get more traffic, you’ve probably mostly heard a lot about three main things: SEO, networking, and social media sharing. Basically, this means that you make the content on your website very easy for Google to understand what it is and why people would be interested in it. You add relevant keywords throughout your post, write compelling meta descriptions, and label your images with your keywords. Talk to people about your topic! Join business groups, forums, or Facebook groups and get to know your target audience. Form relationships that make people interested in learning more about what you have to offer. Basically, create accounts on all the main social media platforms (Facebook, Twitter, Snapchat, etc.) and then consistently share content from your website. Share either descriptions or quotes from your articles, along with links. Okay, just so we make sure we’re on the same page, understand that these are still GOOD things to do. They are the basics and they will help create a foundation to build your audience on. However, these strategies will NOT get you the significant amounts of traffic you need for your blog/website to be successful. Why? Well, quite simply, because EVERYONE and their dog know these tricks. And if everyone is doing these things then you won’t have any advantage if you just do them also. Think about it: most bloggers do these things, but MOST blogs are NOT wildly successful. That tells you that you need to do something different! We all know the definition of insanity: doing the same thing over and over again, and expecting different results. That means it would be INSANE for you to do the same things that every other blog (that have tiny, tiny audiences) is doing, and expect that for some reason these things will work way better for you. No. In order to stand out and be unusually successful, you’re going to have to employ some less common strategies. Which brings us to the question: What strategies SHOULD I be using? The answer seems obvious: You should be using those strategies that are being employed by the most successful bloggers! While Pat experienced a moderate amount of success monetizing niche sites, that was back in the early 2000’s, when a little bit of good SEO really was all that was needed to create success. However, as the internet became a much more competitive place, the primary thing that differentiated Pat and allowed him to become incredibly successful was his informative, entertaining podcast. Every week, Pat consistently releases a new episode of the “Smart Passive Income” podcast. People hear about the show in two primary ways: from Pat’s guests (collaborators), and from their friends who share the podcast (because it’s incredibly high-quality and full of tons of value). Pat constantly references articles on www.smartpassiveincome.com on his podcast — not as annoying self-promotion, but as honestly helpful advice on where to find more resources on whatever topic he’s sharing about. Because the Smart Passive Income podcast is so well done, it’s given Pat Flynn a huge amount of credibility and drives tons of traffic to his site every day. Takeaway: The lesson here isn’t that you have to start a podcast. It’s that you need to engage in friendly collaborations with lots of other influencers, so that they will want to share your content. As an added tip, creating authoritative content forms, such as a podcast or published book, can accelerate your success. If you haven’t heard of Mariah Coz yet, you have now. And I predict you’ll be hearing more of her in the future! 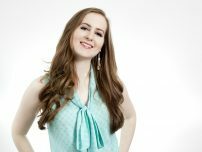 Over the past two years her website, www.femtrepreneur.co, has been growing at an exponential rate — both in terms of traffic and her email list. How is she doing it? Her secret ingredient is webinars. “Joint venture” webinars, to be more specific. By partnering with other influencers to collaboratively provide value to each of their audiences, Mariah is able to get in front of a huge number of people who she wouldn’t otherwise have access to. Other influencers are generally quite happy to collaborate on webinars because all they have to do is show up, and in exchange they get to provide unique value to their audience + get a cut of any sales that result. Takeaway: Again, collaboration is a key factor. There’s no other way to get in front of thousands of your target market without investing significantly more time and/or money. Specifically, webinars (or “free online workshops”) provide a unique opportunity to present live and create a strong, personable bond with these new-to-you subscribers. Motivational blogger Melyssa Griffin says that the biggest turning point for her website followed her foray into Pinterest marketing. She reports that by creating pinnable images for the content on her website and sharing these images across her Pinterest boards and group boards she has been able to reach a huge, previously untapped audience. Pinterest might just look like another social media platform (and you might have just thought of it as a place that you like to pin amazing looking food and DIY projects you’ll likely never get around to), but it’s really a powerful combination of social media AND a search engine. This allows content to go VIRAL in a unique way: anyone can search and find your pin and then pin it to their board (which shares it with all of their followers). Melyssa isn’t the only blogger touting the power of Pinterest. Powerhouses Melanie Duncan and Summer Tannhauser also credit much of their online success to the platform. 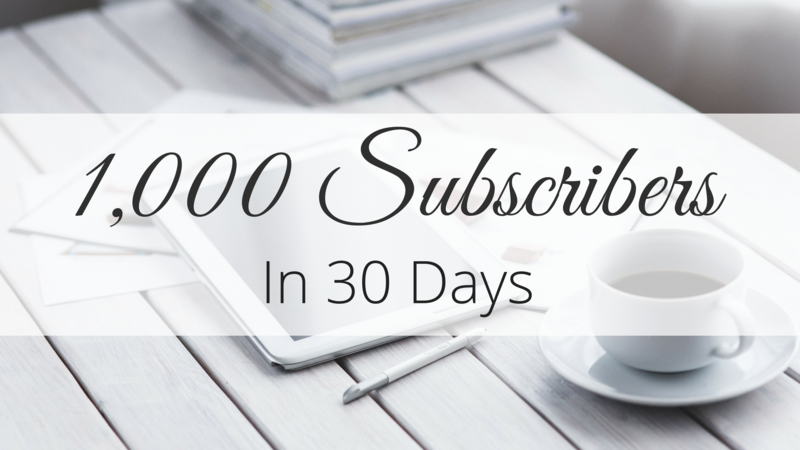 All three offer courses to teach other bloggers how to use pinning to grow their audience. Takeaway: Don’t just post to standard social media “walls.” Instead, utilized more unique platforms that allow content to spread virally. Yes, paid advertising does work. Those who claim “bought” traffic doesn’t convert don’t understand the whole picture. Amy Porterfield has built a multi-seven-figure online course business with just a small staff, and she did it by using paid Facebook ads. If paid traffic doesn’t convert… then where are all her customers coming from? The fact is, if you just purchased “traffic” on Fiverr, it’s true: it wouldn’t convert. Vanity metrics don’t do anything. However, paying for advertising is quite different. Robots don’t click on your ads — real people who are INTERESTED in the content of your ad do! Takeaway: Run Facebook ads focused around a valuable content offer. Promote something your target audience will be truly interested in (a short course, video series, ebook, template, or guide) and offer it for free. You’ll gain traffic, subscribers, and have the opportunity to pursue long-lasting relationships. Sunny Lenarduzzi worked for years in the news and marketing industries, consulting with high-level brands on a one-on-one basis. However, it was only when she took to publishing high-quality video content on YouTube that her business really took off. First, video is a powerful medium that not only creates a deep connection between the creator and viewer, but also gives the creator significant credibility. Being able to create a video that clearly explains an aspect of your topic shows that you really know your stuff. Second, YouTube is a syndicated feed of content. That is, YouTube viewers subscribe to channels, and then see newly uploaded content from those channels every time they visit YouTube. They don’t have to remember to go out of the way to visit your specific site. Instead, they can go to YouTube and see videos from many of their favorite creators all in one place. Takeaway: So how do YouTube videos drive traffic? Quite simply, in each video promote the content on your site as an easy way for your viewers to learn more about the specific topic of the video. To take this to the next level, grow your email list at the same time by including a valuable piece of content (again, a template, guide, worksheet, etc) behind an email opt-in form. 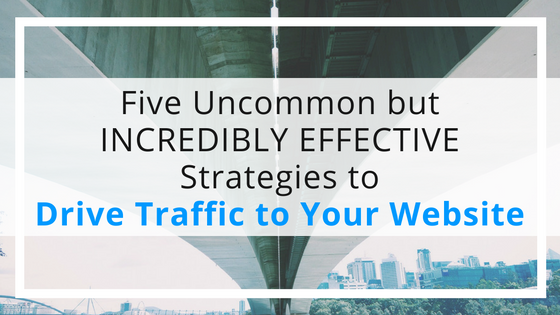 Now that you know the difference between “basic” traffic strategies (that will only get you mediocre results) and new level strategies, it’s time to take action on this information! Don’t just keep doing the same old SEO, posting, sharing, and hoping. Instead, utilize one or more of these blog traffic power moves and really start finding your audience!